The Columbus Division also operates the Albany Franchise. Buffalo Rock Company purchased Pepsi-Cola Distribution Company of Columbus on January 1, 1985. 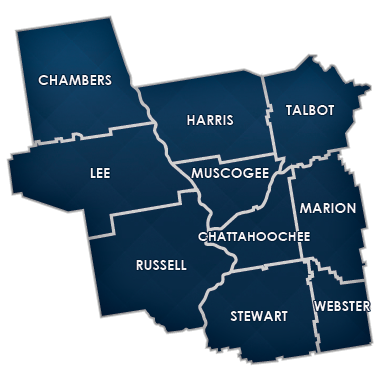 At that time the company held the franchise rights for Pepsi, Seven Up, and Sunkist including the counties of Chambers, Chattahoochee, Harris, Lee, Marion, Muscogee, Russell, Talbot and Webster. 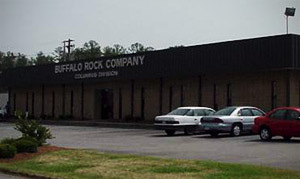 Buffalo Rock Company purchased the Albany Pepsi-Cola Distributing Company in 1985, as well, adding the ten counties of: Calhoun, Clay, Dougherty, Lee, Mitchell, Quitman, Sumter, Terrell, Tift and Worth. In January of 1992, the Columbus Division added a Full Line Vending department and has grown into a formidable force in both franchise areas. Albany’s Full Line Vending operation has become the most recognized full service provider in Southwest Georgia. The Columbus Division of Buffalo Rock Company is a multi-faceted company in that it distributes soft drinks, coffees, and juices and maintains a Full Line Vending operation. Soft drink brands distributed include: Pepsi, Mountain Dew, Dr Pepper in most counties, Aquafina, Sunkist, Canada Dry, Sobe, Buffalo Rock Ginger Ale and Grapico. Our team is committed to the 6 disciplines for maintaining a visual workplace. These disciplines are represented in the 6S diagram. Through continued improvement and Kaizen events we strive for perfection and a safe work environment. The Columbus Division’s team of 162 employee-partners is committed to the Mission, the Vision, and the Values of the Buffalo Rock Company. We provide superior products and services to Buffalo Rock customers and consumers. Its quality of service and products results in long-term customer relationships, close community relations, profitable growth and an expanding market.